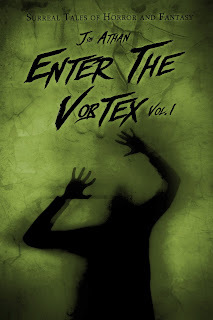 To celebrate tomorrow's release of Enter The Vortex Vol. 1: Surreal Tales of Horror and Fantasy, I'm having a large book sale across Amazon.com and Amazon.co.uk. The Restless Nightmares series will be on sale at Amazon.com and the Tales From Under The Bed series will be on sale at Amazon.co.uk. These steep discounts will be available for a week, so make sure you purchase as soon as possible! Starting July 1st, you can purchase Restless Nightmares Vol. 2: A Collection of Terrifying Short Stories for $0.99 — a 67% discount! On the same day, you will also be able to purchase Restless Nightmares Vol. 3: A Collection of Petrifying Short Stories for $0.99. These steep discounts will only be available for one week. This is also the first time this series has gone on sale, so don't hesitate to jump into these terrifying books. UK readers, starting July 1st, you'll be able to purchase Tales From Under The Bed Vol. 2, Tales From Under The Bed Vol. 3, and Tales From Under The Bed Vol. 4 for £0.99 — that's over 50% off for each installment! This series will be on sale for an entire week! The first installment for each series is always available at the economical $0.99/£0.99 price. I genuinely hope you enjoy the books. I also sincerely hope you support the latest release. 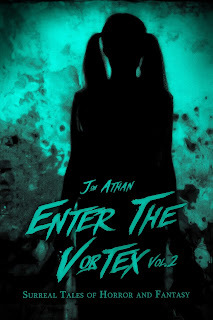 Remember, Enter The Vortex Vol. 1 releases on July 2nd, 2015. The book is a surreal blend of horror, fantasy, and science-fiction. If you love terror and twists, or any of my previous books, I think you'll enjoy this new series. Buy it now for $0.99!